Are fitness trackers a waste of money? In fairness, that hardly seems very scientific. Unless you are an average Japanese man who is still living in 1960. A relatively small sample size, I’m guessing. Harmful? Seriously? Isn’t that pushing it a tad too far? Well in support of his claim, Hager states that someone with an underlying medical condition may not necessarily be capable of achieving the 10,000 steps and it could be detrimental to their health to try. So, is Hager out there on his own in his thinking? Well, it seems not. A 2016 study of 800 people with activity trackers was conducted in Singapore which discovered that there were no health benefits to the research subjects when compared to a control group who didn’t use a tracker. What’s more, they even added a cash incentive to increase the number of steps they took. It made absolutely no difference. I understand what these guys are saying but surely in a population with rising rates of obesity, we need to encourage people to do some form of exercise and activity trackers can be a strong motivator in the right hands (or should that be on the right arm?). After all, surely it is better to do 10,000 steps a day than none at all? It beats lying on the sofa eating double cheese deep pan pizza and watching The Kardashians. Surely it also depends on what you are doing on your journey of 10,000 steps. If you are having a brisk walk around the park with your Cockerpoo then that must have some health benefits. For you and the dog. However, if it’s a pub crawl around town on a Friday night followed by a stagger down to the kebab shop then I don’t think that counts. It’s really all a matter of balance. Depending upon the type of tracker you use valuable personal information can be measured and monitored over time including heart rate, calorie consumption and sleep patterns. The aggregation of all this big / smart data can be of use to a medical practitioner, an insurance company or even the advertising industry. The implications of this are not only fascinating but have huge business potential. A doctor could offer a prognosis on potential medical conditions saving both money and lives. Your insurance company could use your data to offer you improved premiums on health insurance in the same way that they use trackers for safe drivers on car insurance. And the ad industry can use programmatic to specifically target you with dynamic creative to offer you goods / services that are highly relevant to the individual (e.g. new running shoes in your size and favorite colors). So are these trackers going end up gathering dust in the garage along with other defunct fitness gadgets such as the Ab-Cruncher and Thigh-Master? Well don’t be too hasty in ditching your Fitbit just yet. Accept it for what it is and use it accordingly. Figure out an optimum level of activity for your age, size and fitness level (if you are unsure, consult an expert or just Google it). Then simply incorporate it into your weekly workout schedule. What do you think? Are these trackers really useless or do they have some merit? Do you own one and now feel cheated or does the technology really work for you? As ever, I am interested in your viewpoint. The Apple Watch is going to the dogs—or at least one very privileged pooch in China. The son of China’s richest man touched off an Internet firestorm Tuesday after posting a photo of his Siberian Husky wearing two Apple Watch Editions, according to The Shanghaist. The word “tuhao” is a derogatory term meaning vulgar wealth or nouveaux riche. The Apple Watch Edition sells for around $14,000 in China, meaning that Wang’s pooch, named Wang Keke, has $28,000 worth of paw bling. Predictably, in a country where the average wage is still under $5,000 a year, Wang’s post prompted all manner of backlash. One Weibo user wrote back, “I should live worse than a dog,” while most other responses were filled with expletives. Wang is the son of Wang Jianlin, the chairman of property giant and conglomerate Dalian Wanda Group, who is believed to be the richest man in China, with a fortune of more than $40 billion. 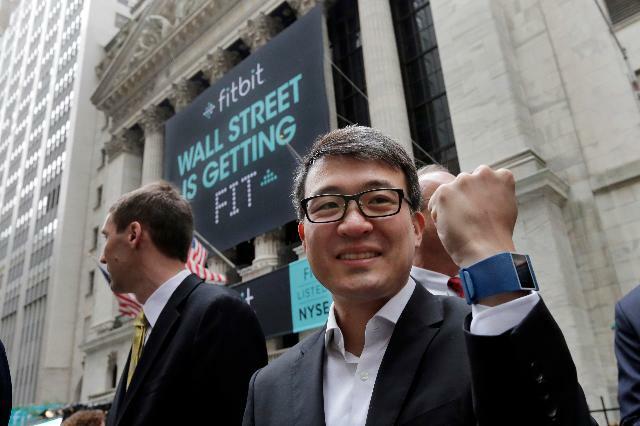 Wall Street released a deluge of positive reports about Fitbit on Monday, as the quiet period following its June IPO was lifted, giving the stock a boost. 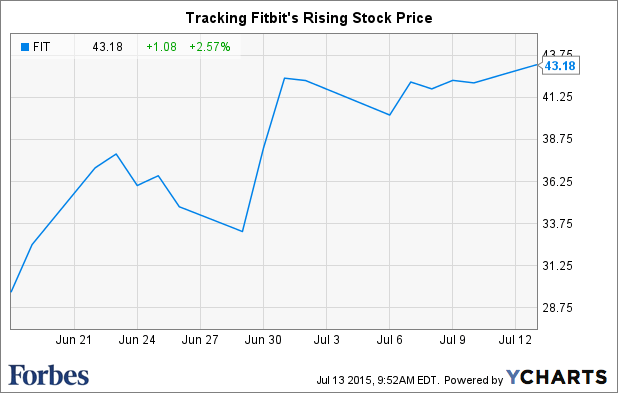 Fitbit, which makes wearable fitness trackers, is dominating a fast-growing space. The company lays claim to a whopping 85% of the U.S. market, up from 59% just two years ago. Fitbit is a “brand that has become synonymous with the category,” writes PiperJaffray analyst Erinn Murphy. In other words, it has become the Kleenex of fitness trackers. Analysts are excited about Fitbit’s ability to continue capitalizing on the wearables space, which is hot and getting hotter. Consumer spending is growing faster on these devices than on any other consumer electronics gadgets out there, according to IDC. “While some investors argue wearables are a niche or fad, our work suggests penetration is approaching levels enjoyed by notebooks in the US and will increase over the next year,” writes Morgan Stanley analyst Katy Huberty. Fitbit has room to run, agree analysts, who love that the consumer brand is so well-known. For instance, the company can do more with corporate wellness programs subsidized by employers. Right now, Fitbit gleans just 7% of sales from such programs. Plus, product innovation should help fuel growth. “We believe devices are just one part of the Fitbit story – the part that is immediately visible and has been the growth driver to date,” writes SunTrust analyst Robert Peck, who notes that Fitbit has the potential to expand into fitness-oriented services that complement its physical trackers. Fitbit could become a “one-stop hardware/service solution to peoples’ health and fitness concerns,” he posits. 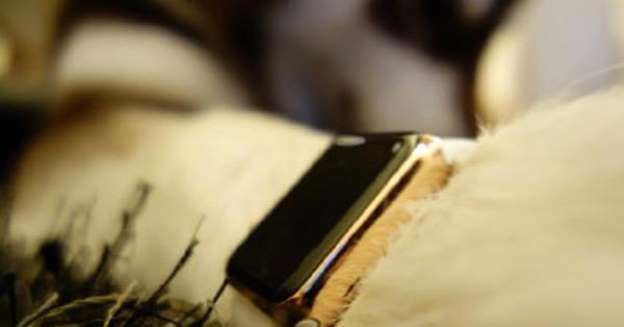 The Apple Watch has gotten a lot of buzz and is frequently cited as a key threat to Fitbit. But while attention is great, buying is better. People are three times more likely to hear about Fitbit and actually go out and purchase one than they are an Apple Watch, according to a SunTrust survey. This could change, some analysts point out, when the next generation of Apple Watch comes out and it becomes easier to buy. Still, there are key distinctions between the two devices and who wants to buy them. For instance, Fitbit is cheaper and therefore accessible to more people. It also has a much longer battery life (it’s hard to monitor your sleeping if you have to charge your device every night) and you don’t have to own an iPhone to use it, like you do with an Apple Watch. The San Francisco-based company swung to a profit last year, earning $132 million on revenue of more than $745 million. It has been helped by the rapid popularity of its fitness trackers: Last year it sold 10.9 million devices, more than double the 4.5 million devices it sold in 2013. These financials are “robust,” says SunTrust’s Peck, who points to Fitbit’s strong revenue growth rate (up 150% in 2014) and gross margins (45-50%). He sees $140 million in profit this year on revenues of $1.4 billion. Fitbit has drawn comparison to consumer growth stocks like Under Armour UA +3.61% and GoPro from several analysts. It has “superior growth metrics to-date,” writes PiperJaffray, and combines “a powerful consumer brand with technology.” Its stock is also trading at similar levels to other consumer growth stocks in the post-IPO period. When Fitbit made its public debut last month, the stock gained nearly 50% on its first day of trading to close at $29.68 per share. Since then, it has gained 110% from its IPO price to $42 per share. Share were up another 5% to $44.24 on Monday.